Divorce is one of the most difficult experiences of anyone’s life. 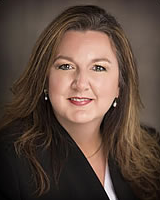 Stephanie Bandoske a qualified, knowledgeable, and understanding divorce attorney in San Antonio will help you resolve the matter and start over with your life. Even under the best of circumstances divorce is hard on everyone involved including the impact on children and therefore it is important that everything go as smoothly as possible. Your legal team should have your best interests at heart and help you through the divorce process in an efficient manner. We will help lay out your Grounds For Divorce, terms regarding custody, and other aspects that are generally included in a divorce. However, there are many times when one party contests the terms of the suit, which means one of the parties involved may get in the way of the dissolution of the marriage by legal means. In plain and simple terms, one of the parties fights over the terms of the divorce because they do not agree with the terms. Bandoske, Butler, Reuter, PLLC is a full service Family Law firm. Family law consists of divorce, custody litigation, child support, possession and access to a child, paternity, and marital agreements. At Bandoske, Butler, Reuter, PLLC. we have attorneys who can assist you in both complex litigation cases and agreed settlements. Our divorce law firm assist clients in navigating through their emotional and difficult family law litigation experience with attention to detail and compassion. Our service areas are Bexar county and surrounding areas. Our San Antonio divorce lawyers are dedicated to providing outstanding customer service to each client, and understand this may be a very difficult time in your life. Each client has a different story, so we listen to your needs and help you navigate through your divorce, child support, and custody cases.